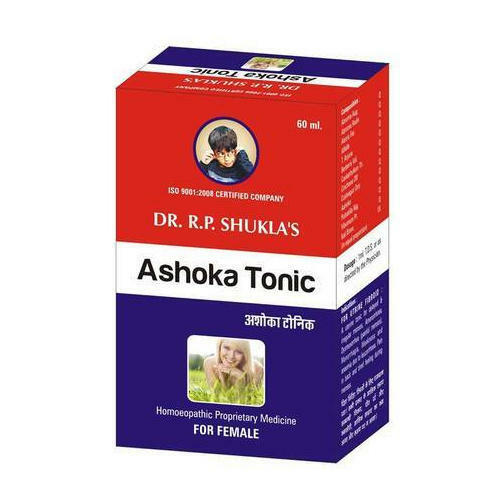 Being a customer oriented organization, we are deeply engaged in offering a wide array of Ashoka Tonic. For Uterine fibroid A uterine tonic for delayed & irregular menses, Amenorrhea, Dysmenorrhea (painful menses), Menorrhagia, Weakness and anemia due to leucorrhoea. Pain in back and tired feeling during menses. 1Ml T.D.S or as directed by the Physician. Founded in the year 2003, we “Shukla Homeo Pharmacy” are a dependable and famous manufacturer And Exporter of a broad range of Human Homeopathic Medicine, Veterinary Homeopathic Medicine And Poultry Homeopathic Medicine We provide these products in safe packaging material to attain the complete satisfaction of the clients. We are a Sole Proprietorship company which is located in Khanna (Punjab, India). Under the supervision of our mentor “Dr. R. P. Shukla”, we have gained huge clientele in our country.